Long Beach, California natives Snoop Dogg and Willie McGinest are teaming up to help raise funds for the completion of The Kroc Center. The state of the art youth center will serve as a Salvation Army facility and will provide recreation and cultural programs to the Long Beach community. 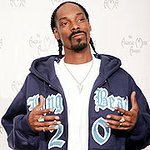 Rapper Snoop Dogg is recording a charity song and will donate all of the track’s profits to the center, while NFL star McGinest will make a personal contribution to the cause. The stars’ efforts have been lauded by Sixth District Councilman Dee Andrews, who hopes that the celebrity endorsements will help people “…open their eyes…” to this positive addition to the Long Beach community.